Here’s the Scoop on Coconut Oil! Naturally occurring saturated fats have been given a bad rap for decades by well-meaning but misguided health care providers who mistakenly linked them to heart disease. Ironically, the misinformation led Americans to abandon meat, egg yolks and butter, and shift to carbohydrates and artificially hydrogenated vegetable fats, known as trans fats. We now know that trans fats and refined vegetable oils used in baking, deep frying and margarine, along with refined sugar and flour, are the real culprits behind heart disease. 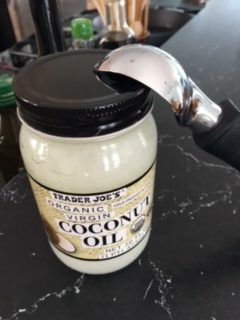 Coconut oil was once caught in the crosshairs of the debate on saturated fat, since it is solid at room temperature, at least in the cooler months. However, coconut oil has recently made a comeback as a superfood that has myriad health benefits. Coconut oil is made up of medium chain fatty acids (MCFAs) that boost cognitive function and memory, and ward off anxiety, depression, dementia and Alzheimer’s disease. Food cravings and hunger pangs are quickly put to rest with a tablespoon of coconut oil, making it easier to stick to your weight loss plan. They also reduce anxiety and boost your mood to keep you from emotional eating. 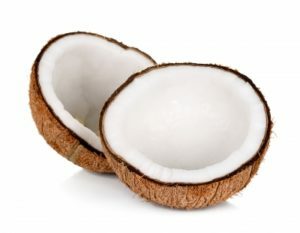 Coconut oil is quickly converted to energy that lasts, giving you a metabolic boost without caffeine or sugar. A quicker metabolism means you burn more calories throughout the day. Coconut oil is a source of antioxidants that reduces inflammation in your digestive tract and throughout your body. It assists in the absorption of nutrients and facilitates the removal of waste. The lauric acid found in coconut oil has been shown to fight infections by killing viruses and bacteria. A tablespoon of coconut oil a day may be a proactive defense against sickness and infectious disease. Hormones play a number of critical roles in your body, affecting reproductive health, emotions and metabolic balance. Coconut oil has been shown to help regulate hormonal balance, leading to better overall health, improved emotional wellbeing, elevated mood and reduced depression. Next post: The Wonders of Water: Drink Up Buttercup!